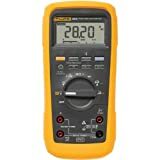 The 20 series is a group of professional Fluke multimeters for electricians and electronics technicians working in tough, hazardous environments. 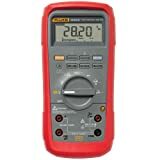 They are the sturdiest multimeters on the market today and come with a great deal of protection, both electrically and mechanically. Although they are quite pricey, you get what you pay for at this end of the spectrum and if you’re working in mines and explosive environments, there’s little room for compromise. We compare the three in the series here, detailing specs, features and usage. Check out the chart (below) for a visual overview. 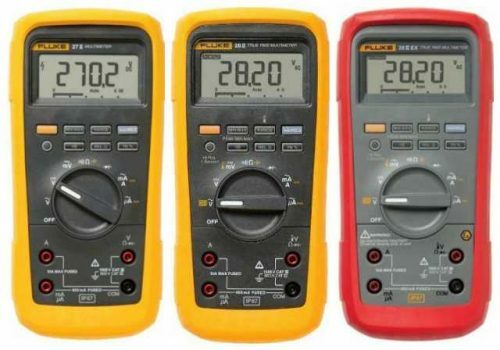 In the comparison of the Fluke 20 Series, it is fairly easy to decide between the three. If you want something that is watertight to diagnose faults in general electrical/electronic systems, and don’t need to measure temperature or AC variable drive units, the basic 27II is all you’d need. For more accuracy, higher resolution, non-linear AC signal measurement, and a temperature range, consider the 28II. For the most hazardous of environments, the 28II Ex is king. All three have exceptional build quality and input protection and are made in the USA. Hanging strap: TPAK magnetic hanging straps are very useful and it is best to pick up one of these to go with these multimeters as they are so heavy.